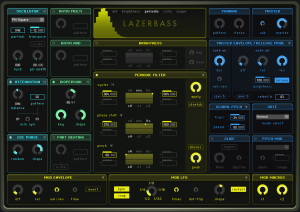 This quick and easy tutorial will help you get started using Native Instruments Lazerbass synth inside of Reaktor, and show you how to design a basic wobble bass for use in modern electronic music. If you have ever used Lazerbass, then you already know that a basic wobble does nto even begin to test the limits of this incredible synth. But we need to start somewhere and right now wobble bass synths are still popular and very much in demand. From electro to dubstep and even mainstream pop music is putting these LFO powered low end beasts to good use. So this lesson will show the main parameters to be aware of when you make a basic Lazerbass wobble and touch on some insights that will hopefully help you to move beyond this tutorial and begin creating your own wobbling synths of all kinds. We will just make a quick stop at each of the relevant panels used in the process and then share a full view of the synth and a small audio sample of the Lazerbass wobble in action. First is, of course, the oscillator. I have selected the Pulse Width Square option from the menu, and lowered the Partials parameter to only 48, which yields a lower resolution synth and acts as a low end filter of sorts. The pitch has been lowered one octave via the transpose feature. Both the Pulse Width and Fund paramaters have been left unused. Next is the Attentuation panel. Here the sound has been slightly biased towards the low end partials/frequencies. The Dispersion panel is an interesting feature. It will allow you to shape how your sound is initially formed, dispersed and even allows you to alter the amount of key tracking to apply through the dispersion. Think of this as akin to working with a synth like Sculpture or other modeling synths that allow you to adjust tension and materials that your sounds are based on. 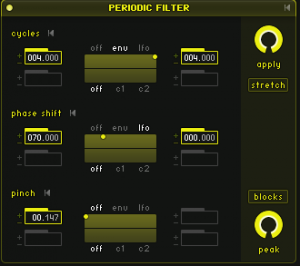 The Periodic Filter panel has been used to adjust how the modulation introduced by other panels affects the sound. It can result in effects like a phaser, flanger or just help you keep a handle on how much resonance is included. 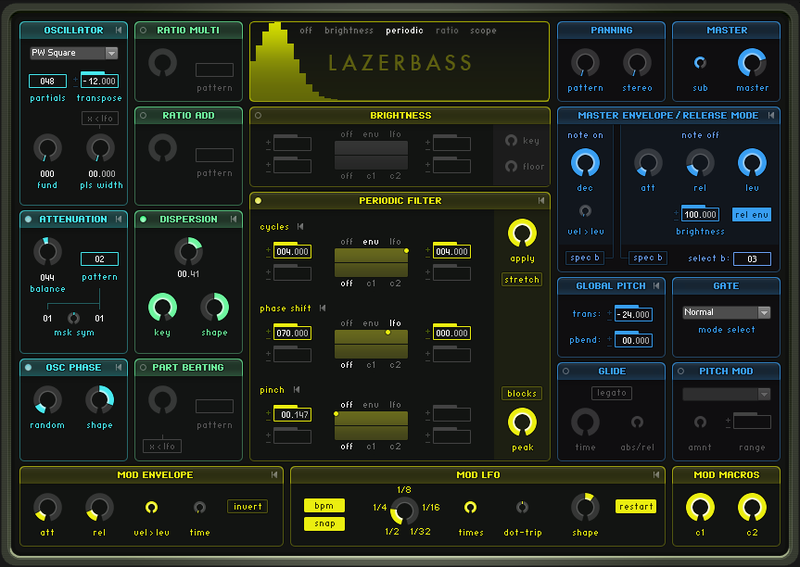 Since this is a basic sound design lesson in making a Lazerbass wobble, this panel was kept very simple. Since this is a bass synth, the stereo spread has been turned down to focus the sound in the middle of the output channel. The Sub Bass parameter has also been turned up a bit to provide more support and presence in the low end frequencies. 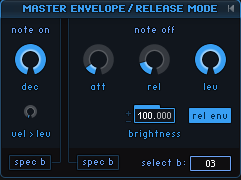 The master envelope and release panel needs to be tweaked slightly to ensure the right delivery of sound. The universal pitch value is dropped two octaves overall and the gate is kept at the default normal setting. The mod envelope and LFO panels are used to shape the modulation delivery as well as manage the rate, shape and intensity of the LFO effects. This is at the heart of the final sound of this Lazerbass wobble, though panels that we have already visited also are connected to these two panels. If you have Reaktor tutorial requests, or would like to share one of your own, please shoot us a message before you depart. Thanks for stopping by!